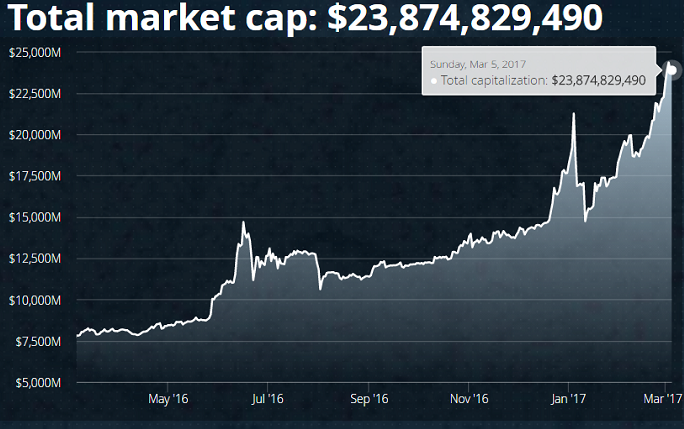 The current Market Capitalisation of BITCOIN alone now amounts to ca. USD 20.6 billion. Disclosure/Disclaimer: Ralph Gollner hereby discloses that he directly owns some of the securities mentioned above (as per 6th March 2017): Nvidia and Certificates which trace the Bitcoin-price.